Unique bangle made of book pages . The cut pages are of a soft touch and show the text alignment pattern of the book. Shaped book pages mounted on leather-covered metal, with a touch of velvet! Lightweight, bendable and comfortable to wear. 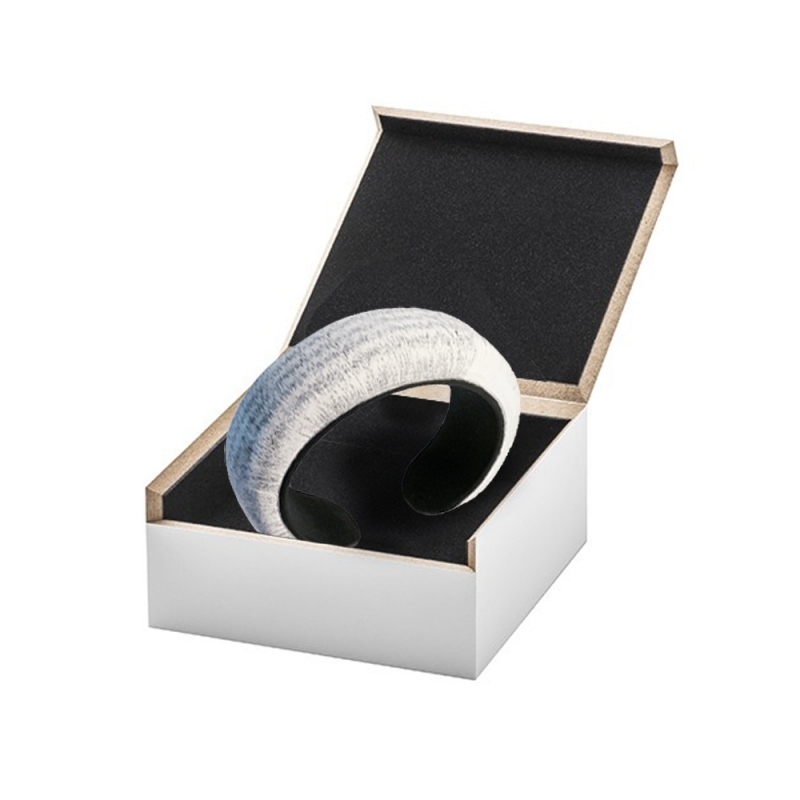 The velvet book bangle is available in 5 colours: cream, red, grey-anthra, darkblue and black. Splash-proof (some rain won't harm it), but must not be soaked. Fits to wrists measuring up to 18,5 cm/ 7".